Princesses have come a long way from Sleeping Beauty and Snow White, whose main accomplishment was to sleep until a prince came along and kissed them, then bore them off the castle to live happily ever after. First they woke up on their own and became feisty and independent, preferring a battle of wits with a roguish, possibly outlawed hero to being rescued (think Pocahantas, Jasmine, Rapunzel). Then they started demanding some of the power for themselves and learned how to fight, becoming warriors (Mulan, Kaylee, Merida). More recently, they’ve insisted on equal partnerships in love, work, and power (Tiana, Belle). Since 2016, princesses have been venturing onto a higher plane, the plane where the goddesses dwell. “Moana” saw the future leader of her people joining forces with a male demigod to bring healing to the goddess and thus to her people. Diana, the Wonder Woman, is herself a demigoddess who had to learn how to love as a goddess does, impartially and unconditionally. She represents Artemis, the virgin goddess of the hunt, as her purpose is to seek out and kill those who harm the innocent. The princesses who become generals are working with another goddess energy: Athena, the goddess of wisdom and of war. While Ares is known as the god of war in the Greek pantheon, he is really the god of berserkers: psychologically, he represents the blind rage that takes men over in war and turns them into unstoppable warriors. Athena’s role is different. She does not fight directly. She is the strategist, the one who calls the shots. She is cold and logical where Ares is hot and impulsive. She sends Ares where she needs him to go. Princess Leia is the Athena of the Star Wars franchise. She inspires her warriors to fight and decides when and where to send them. General Antiope and General Okoye are also Athena figures; they may fight alongside their warriors, but they are the strategists who decide how their armies will fight. These princesses-turned-generals represent an aspect of history that’s usually ignored: women war leaders. Most people know about Joan of Arc and Queen Boudica, who led British natives in a revolt against the Romans; the recent “300: Rise of an Empire” has raised awareness of Queen Artemisia, a naval commander for Xerxes. But few have ever heard of Mavia of Arabia or Zenobia of ancient Syria, who unlike Boudica won their revolts against Rome; Laskarina Bouboulina, the naval commander who helped free the Greeks from Ottoman rule in the 18th century; and Margarita Neri, who helped overthrow the dictator Porfiro Diaz Mori in the Mexican Revolution of the early 20th century. Many other examples of women commanding armies are there in history for those who look; you can find some on this list at The Mary Sue. Athena has always been with us, but we haven’t given her much recognition in the last couple of millennia. 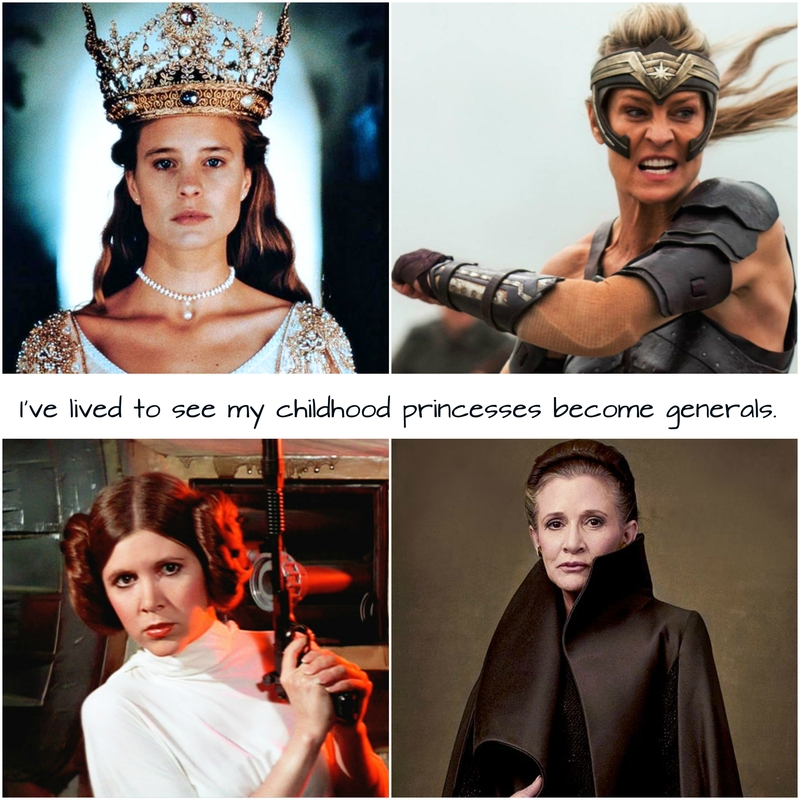 This recent crop of movies starring princesses-turned-generals suggests that at long last, we’re starting to remedy that omission. This entry was tagged Antiope, Artemisia, Athena, Bouboulina, Boudica, Margarita Neri, Mavia, Okoye, Princess Leia, women generals, women warriors. Bookmark the permalink.